With the midterm elections just two months away and increasing skepticism about whether social media platforms are prepared to handle the inevitable flood of chaos and disinformation, congressional lawmakers will grill high-level tech executives today in a pair of back-to-back hearings on Capitol Hill. 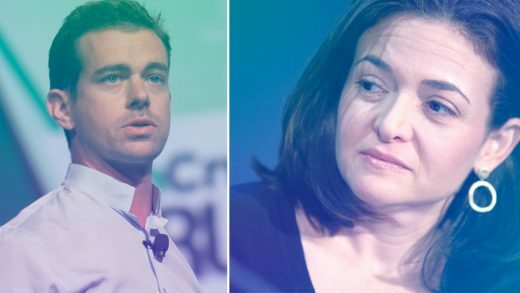 First up, Twitter CEO Jack Dorsey and Facebook COO Sheryl Sandberg will appear before the Senate Intelligence Committee to face questions about foreign influence on their platforms. The hearing will begin at 9:30 a.m. ET. If you want to watch on your computer or phone, you can access the committee’s live stream here. Later this afternoon, Dorsey will also appear separately before the House Committee on Energy and Commerce in a hearing to discuss the extent to which political bias factors into Twitter’s content decisions. (Get ready for lots of questions about “shadow banning.”) That hearing is scheduled to begin at 1:30 p.m. ET. You can watch it on the committee’s YouTube page here.